The popular Nova 3i has a higher-end sibling, the Nova 3. It has flagship grade specs and features for less. The Nova 3 has the premium 3D curved glass design, flagship-grade Kirin 970 AI processor, GPU Turbo boosted Mali-G72 MP12 GPU, larger 3,750mAh battery with fast charging via USB Type-C, brighter 16MP f/1.8 + 24MP f/1.8 dual cameras behind, IR light sensor enhanced 3D face unlock, and 4G LTE Cat 18 connectivity. 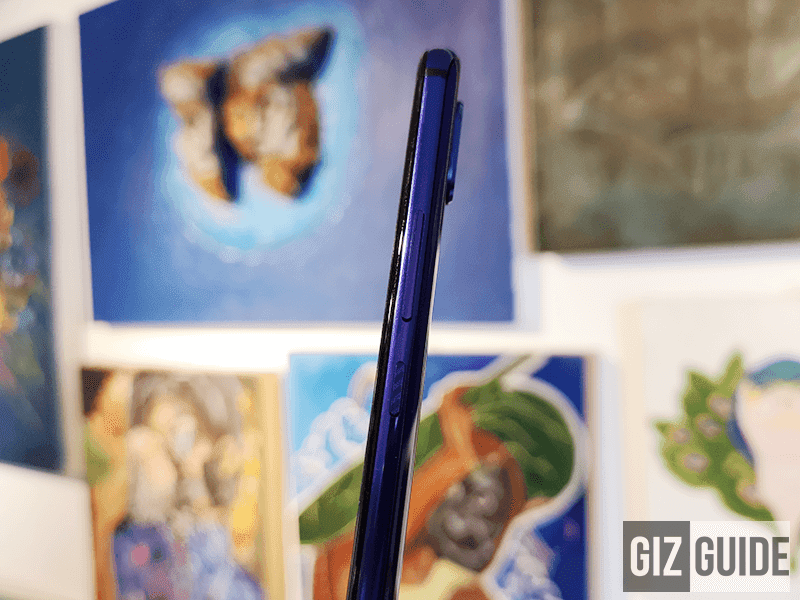 In comparison, the Nova 3i only has a 2D curved glass, lower-end 710 chip, microUSB charging port, lesser dual cameras, 3D face unlock only, and lower 4G LTE Cat 12 category. Versus other phones with the same price from most mainstream brands, the Nova 3 also has much better specs. It also has the specs to go toe to toe with pricier phones. Disclaimer: Huawei is an advertiser of this website. But, but rest assured that this will be an unbiased feature as always. We are unsure if this is the official retail package. 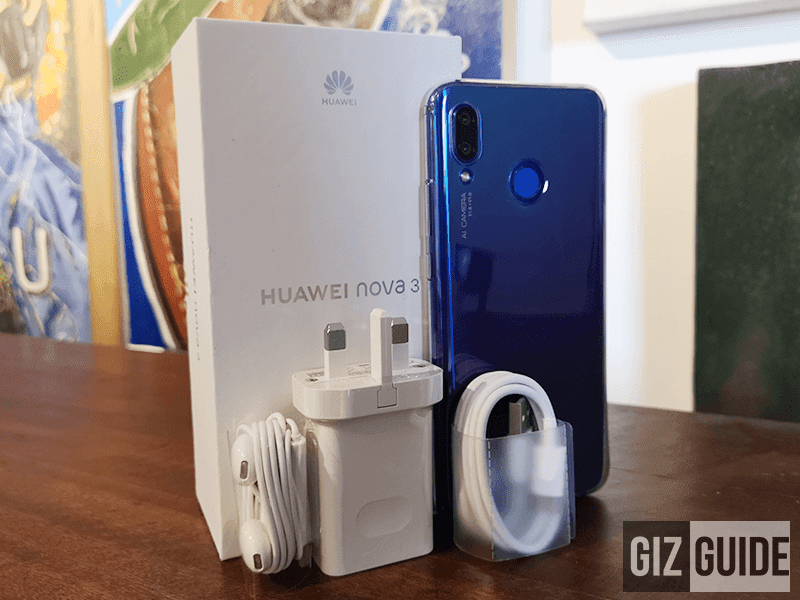 But anyway, the unit we got 18W Huawei Quick Charge power brick, usual USB to USB Type-C charging/data cable, earbuds w/ mic, SIM ejector tool, clear case, pre-installed screen protector, and paper docs. My only gripe is its charger doesn't have the standard plug for the Philippine market. The Nova 3 has a better looking build versus the Nova 3i. It is still made out of mostly metal and glass. 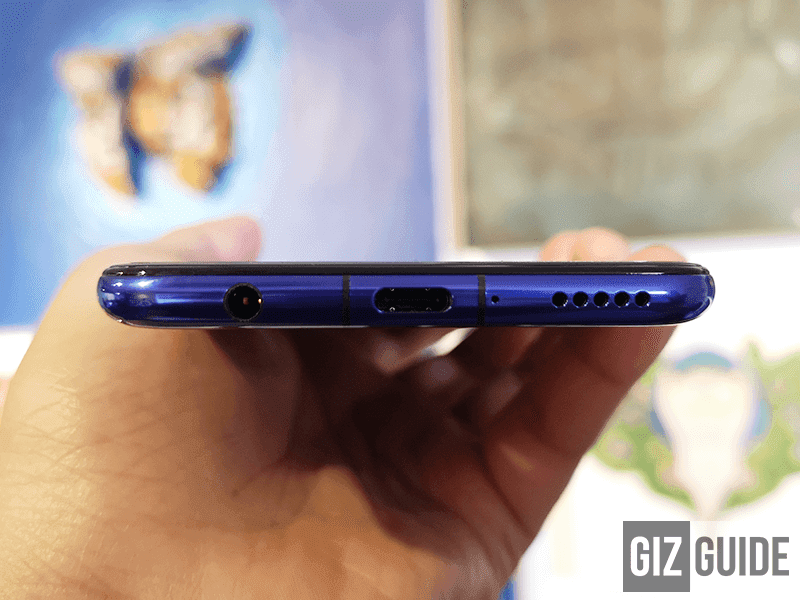 It has a 3D curved glass like the P20 Pro at the back, curvy metal frame in the middle, and 2.5D curved screen in front. Huawei failed to mention if it has Gorilla Glass protection. I'm am confident to say that it is durable enough to withstand accidental drops though. Personally, I dropped the phone without a case 2x already. Fortunately, my review unit still looks as fresh as ever. However, you better be safe than sorry. Use the FREE case inside to avoid unwanted damages. 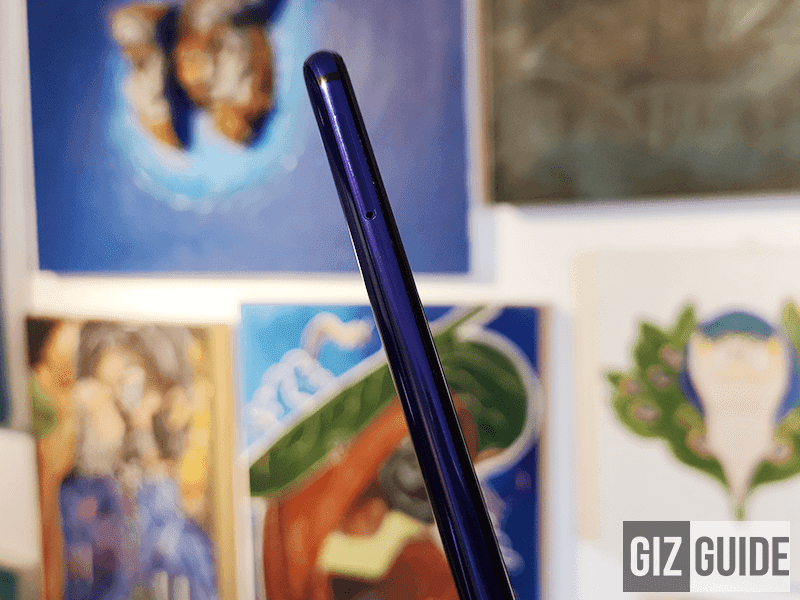 In terms of design, this handset is arguably the flashiest phone for the price.The iris purple gradient colorway at the back will surely get your attention. Most will appreciate its look for sure. But, those who want a lowkey phone could check the black color variant of the Nova 3. On paper, it is even slimmer than the Nova 3i. The Nova 3i is listed at 7.6 mm while the Nova 3 is just at 7.3 mm. it isn't that heavy at 166 grams as well. 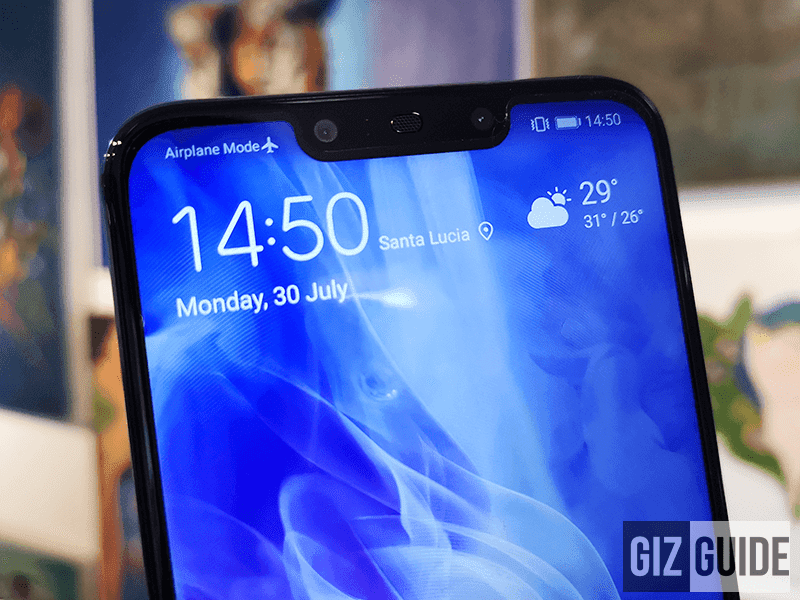 The notch is a bit bigger than the P20 series, but it is still smaller than the notch of the Mi 8 and iPhone X. The notch carries the dual selfie camera, earpiece, IR light sensor, and other sensors. For those who do not like the notch, you can turn it off in the display settings. It has a 19:5:9 aspect ratio and a screen-to-body ratio of 81 percent just like the Nova 3i. All ports and buttons are found on standard placements. We also like that it has a dedicated 3.5 mm headphone jack and micro USB slots. It isn't that prone to fingerprint smudges too. But, it is slippery to hold. So, be careful always. 1. Design is flagship-grade! It looks stunning and functional at the same time. 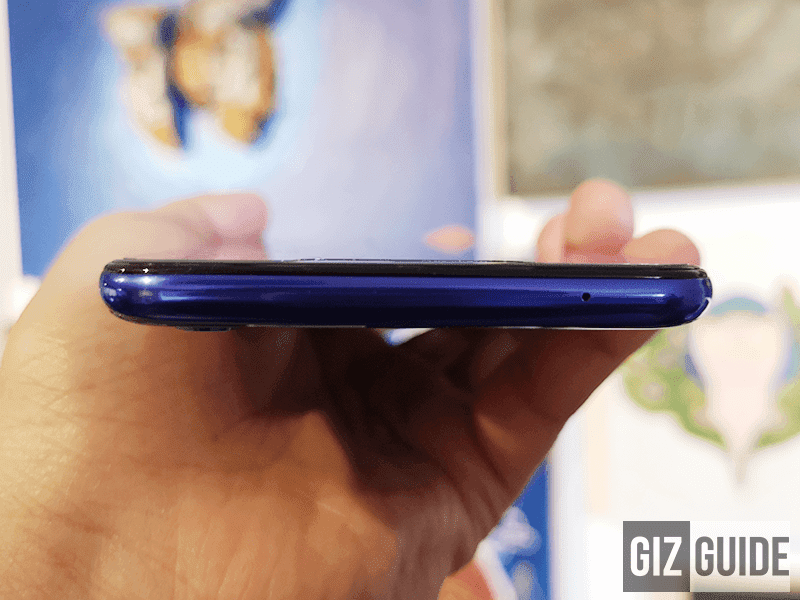 The bezel on the chin is even smaller than the P20 and P20 Pro. The 6.3-inch big screen is beautiful as well. It doesn't have the AMOLED color punch and contrast, but I'm sure most won't mind it. 2. It has beastly specs for the price! First you'll find Kirin 970 processor. 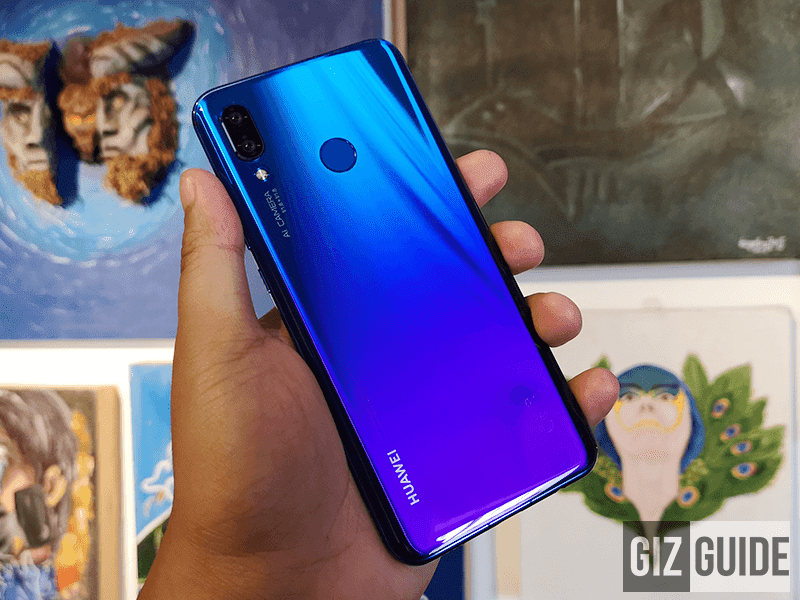 It is the same chip found on the P20 Pro. It also has a dedicated NPU for AI tasks. It also has a Mali-G72 MP12 GPU with GPU Turbo tech. So far, it can load any app and games we tried with ease! It is even paired with massive 6GB RAM for multitasking. It also has 128GB storage. The battery capacity is quite big at 3,750mAh as well. It doesn't have the SuperCharge tech of the flagship Huawei phones, but it has an 18W Huawei Quick Charge charger. 3. On the camera part, we are impressed! Mate 10's camera is still a bit better, but it can compete! There are even times where you'll get photos with better exposure. In particular, it has a 16MP f/1.8 RGB sensor + 24MP f/1.8 monochrome sensor w/ PDAF, contrast focus, Master AI, and LED flash. For selfies, overall quality can compete with the P20. It even has HDR Pro, cute stickers, and the AR Qmoji feature. 4. The phones loads with the newer EMUI 8.2 skin. It is still based with Android 8.1 Oreo OS, but it has more features than the EMUI 8.1. It has more stickers and camera features. It has an easier to reach AI toggle button too. Decent so far! 5. The phone has an LED notification on the top inside the earpiece. It also has an accurate face unlock and fingerprint scanner as expected. Bluetooth, GPS, and 4G LTE connectivity of this device also works. It has USB OTG function and gyrscope sensor as well. The Nova 3 is a legit all-rounder with flagship-grade specs and features for less. Also, it is arguably the most beautiful looking handset in its class. For just PHP 25,990, there are few phones that can compete with this device overall. We won't even blame you if you will choose the bigger 6.3-inch screen and 6GB RAM of this handset over the Leica cameras of the P20 with smaller 5.8-inch display and 4GB RAM at a higher price tag. 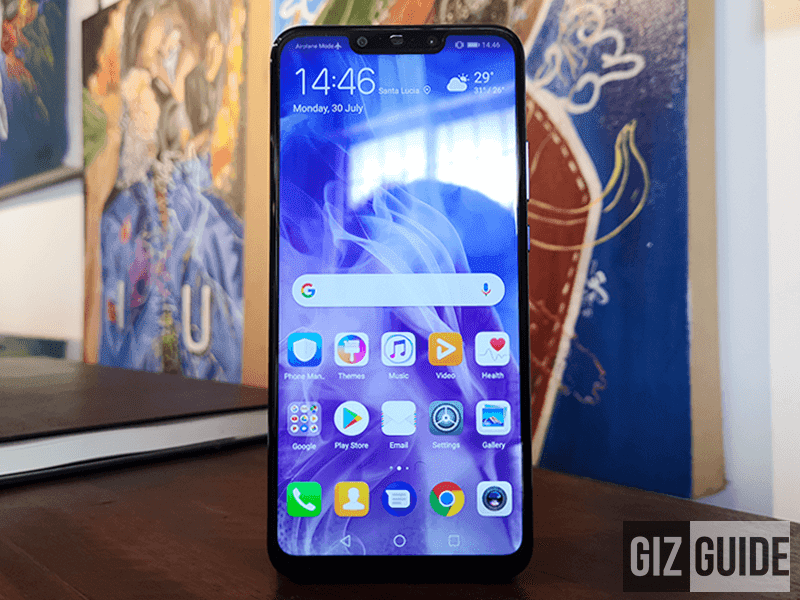 For our review: Huawei Nova 3 Review - Flagship-grade design and performance for less!